Sunday, July 26, 2015. I wake up at 3 am (what really feels like 6 am) to eat whatever I have left of my Pad Thai, drink my espresso and hop in the shower. After I dress, I step out on the balcony in my hotel room to check the weather. Yes! Ideal racing conditions: 50’s, a little bit of fog and a light breeze. After all, how often do you have that in late July living in NYC? After stretching I walk out with my wife to the starting line awaiting my 5:30 start time. More excited and anxious than nervous, I couldn’t believe after 18 weeks of hard training and 930+ miles logged for the year that I would run my first marathon. I enter my corral at the front of the field in my wave (yikes!) and wait for the starting bell from one of San Francisco’s cable cars. The bell rung and all the runners took off. 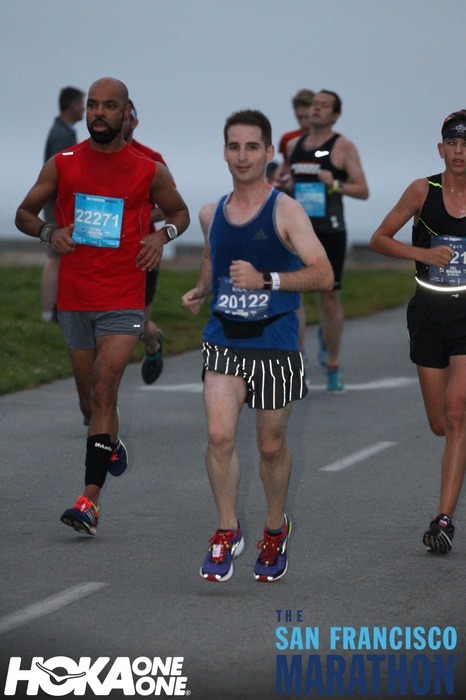 As I ran, I heard the other runners around me, some breathing more heavily than others. I thought, “Here we go! 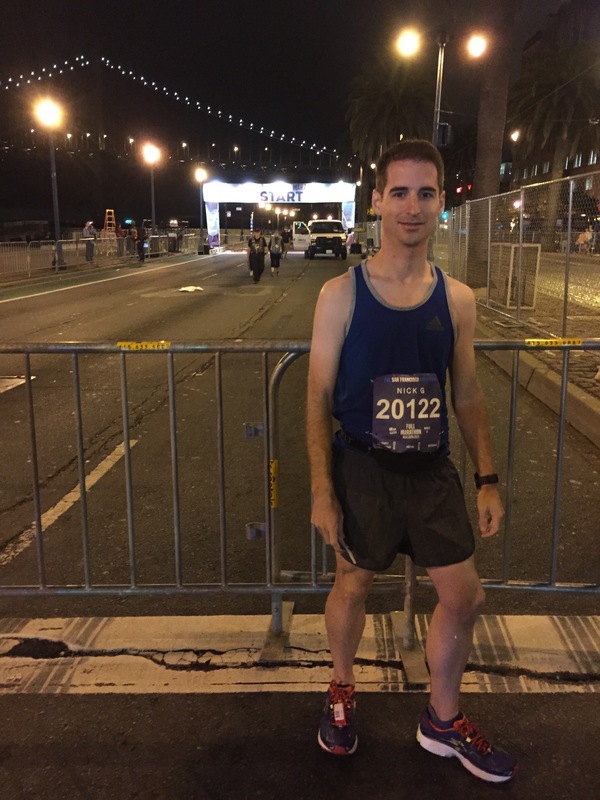 I don’t know what to expect, but I’m in it for all 26.2 miles.” The first few miles running The Embarcadero felt like running along the West Side Highway in Manhattan, flatter with a nice breeze from the water. Still easy, I awaited the first hill of this challenging course. Once I hit the hill I felt great as I looked forward to seeing the sights from the Golden Gate Bridge. Of course to get on the bridge, runners had to climb a hill. 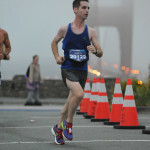 Still feeling great, I grab another water from an aid station and repeat running the bridge in the opposite direction. Around my circle of runners, this is when we all began spreading out. 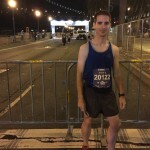 I hit the halfway point, I matched my time of 1:29 from the NYC Half Marathon earlier in March. It felt much easier this time around, but I still knew I needed to complete the second half. Having not done this before, I found out why many call the section between miles 14 to 17 miles “no man’s land”. By this time, the race really spread out and I could only see two runners in front of me. 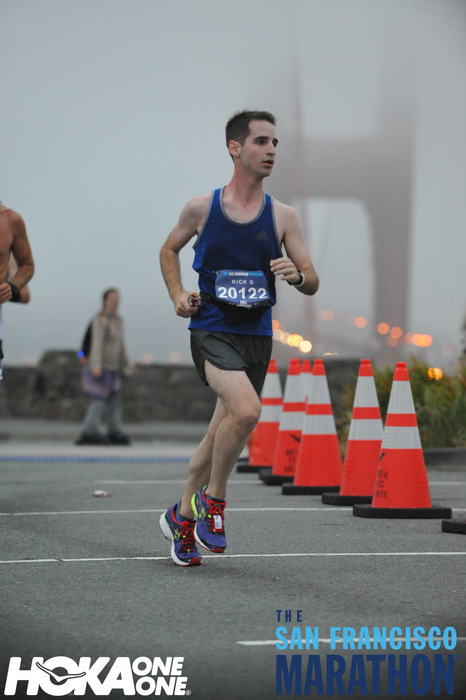 I kept pushing throughout Golden Gate Park, grabbing water and electrolytes at the nearest aid stations. This is where I finally mastered the art of grabbing the cup and drinking the water without it spilling all over me. What proved the hardest but more rewarding had to be from miles 23 to the end. I had only ran up to 22.5 miles in my entire life and had no idea what this stretch would feel like. By this time, the lactic acid in my muscles built up quite a bit, but I still needed to push through the last few miles. The moment I saw the finish line I became ecstatic. 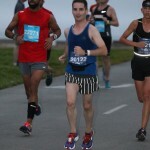 I raced towards it to finish with a time of 3:14. Afterwards? Sore from those hills! I felt like an old man walking back to the hotel in need of a cane, but I felt great having completed my first one on one of the most challenging courses out there. I’m already planning on my next one and will be working on how to master that second half. I’m definitely looking forward to working on shaving off time from my debut and running a flatter course for the next one.